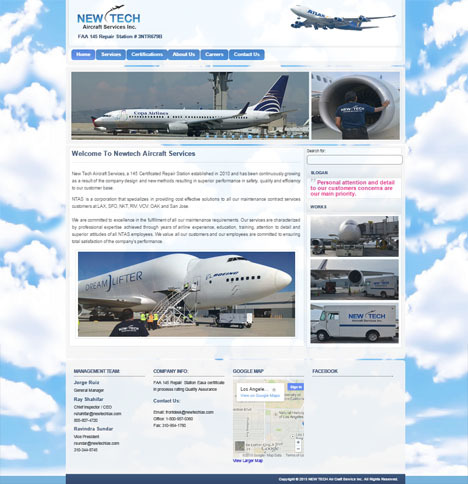 WordPress Theme Development For Newtech Aircraft Services. newtechlax.com Developed by Me for the Newtech Aircraft Services. This site contain Home page with Gallery, theme option, footer widget and sidebar widget.